The two-button setup is treacherously simple. One button shoots your massive gun downwards, propelling you through the air. The other shoots forward, destroying anything that’s in your path. But there is no stopping in this beautifully surreal world littered with deadly traps and soul-crushing obstacles around every corner. 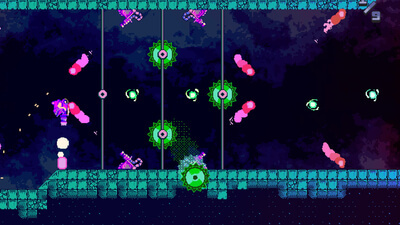 Players will have to constantly alternate between the two firing modes to maneuver through meticulously crafted levels where death is a promise not a possibility. There is only running, gunning, jumping, and gunning, in a mad dash to survive long enough to die again. You play as a scavenger, a rogue from outside the Extax System who seems to have only one goal: get Atomiks. What do the Atomiks mean to the scavenger? Does he want to scoop up precious resources for himself, or use them as a way to appease the sun and end the suffering of the system? Or Maybe they’re just shiny pick-ups in a video game to him. 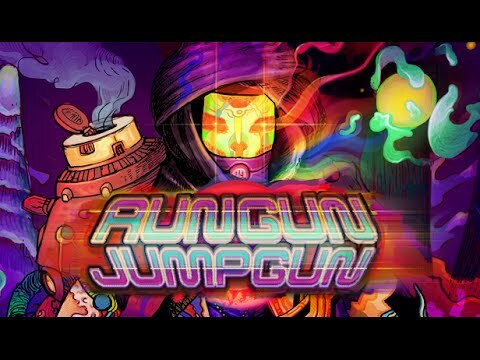 For little more than a fancy new plastic fiver, RunGunJumpGun is really worth picking up if it’s a genre you get on well with. Levels may be short, but there’s a lot of them and the challenge more than makes up for their length. 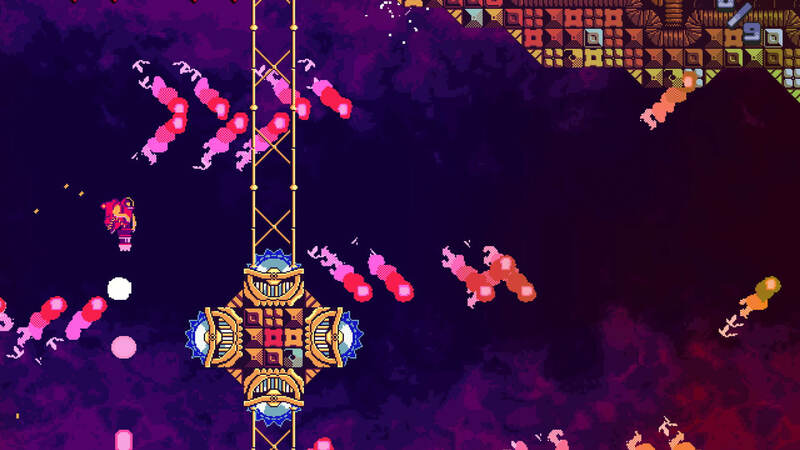 You do have to be a glutton for punishment to get the most out of the game, and even then the constant cycle of failing and retrying a level can get a little dull after a while. 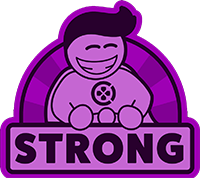 If you like to be pushed to the absolute limit, the twitch-heavy gameplay and punishing level design will do just that, crushing your spirit along the way. 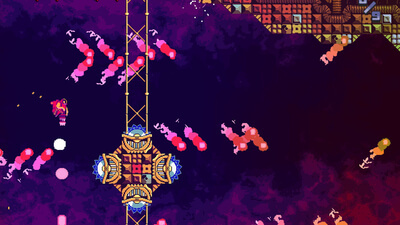 RunGunJumpGun is simple arcade action taken to its extremes.